Neuramis Hyaluronic Acid dermal fillers produced by Medytox in Korea is known for its high quality with a low price. It has 100% purity hyaluronic acid and its molecular weight is 3 times that of ordinary hyaluronic acid. Maintenance time is 6-12 months or more. 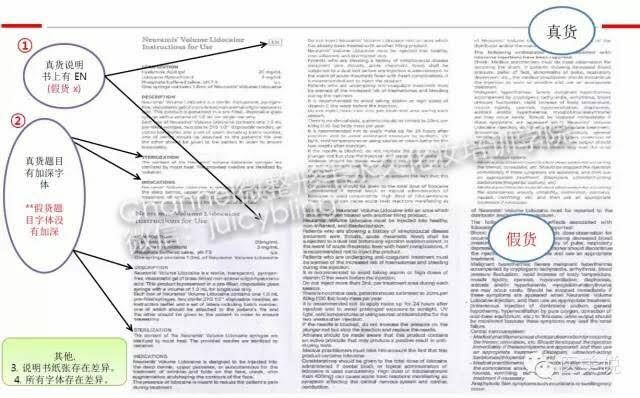 It is said that when the American company Allergan, the US company that produced the Botox, spent $65 million to purchase the technology of Medytox in Korea, and returned to the United States to produce the hottest hyaluronic acid product called Juverderm. The percentage is paid to the Korean Medytox company patent fee. 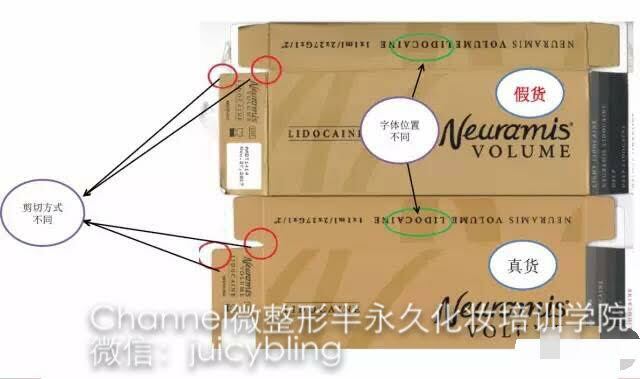 However since it is very popular in China, so there are a lot of fake ones made in China are selling online, be careful of fake one and always buy Neuramis online from Korea, where the package is shipped from Korea. You can visit http://www.gangnamstyle-shop.com to buy Neuramis dermal fillers online, ship direct from Korea with 100% authentic guarantee. The top one is fake on the above picture, and the lower one is real, can you see the differences? The above instruction pages, the top one is authentic, the bottom one is counterfeit. Please check out the sticker as well inside the package, the cutting is very straight for authentic Neuramis fillers. 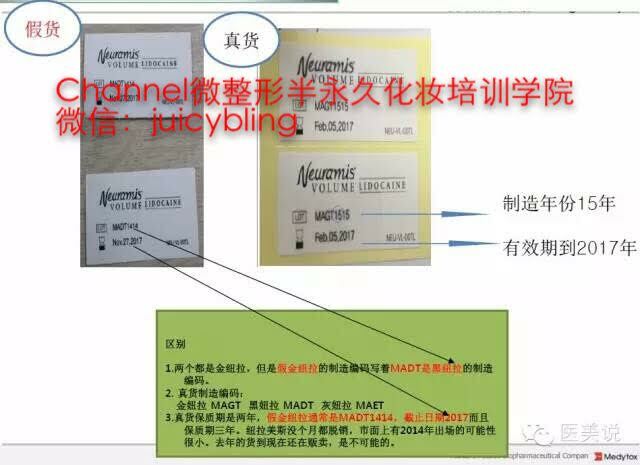 The last thing to test the filler is authentic or not is to test it with Hyaluronidase, see if the fillers will be melt when you put Hyaluronidase together. So try squeeze 0.05cc out and melt it first, if it doesn’t melt, please throw it out and do not use it. 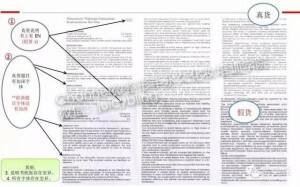 This entry was posted in Aesthetic medicine course, buy Neuramis online, buy Newramis online, Derma Fillers, how to spot fake Newramis fillers, 韩国玻尿酸 and tagged buy newramis online, derma filler, how to spot fake newramis, newramis, 韩国玻尿酸, 韩国纽拉美斯.